It's been rainy and cold for here days and days and so I thought I'd make something a little bright + cheery to giveaway for Sew Mama Sew's Giveaway Day. 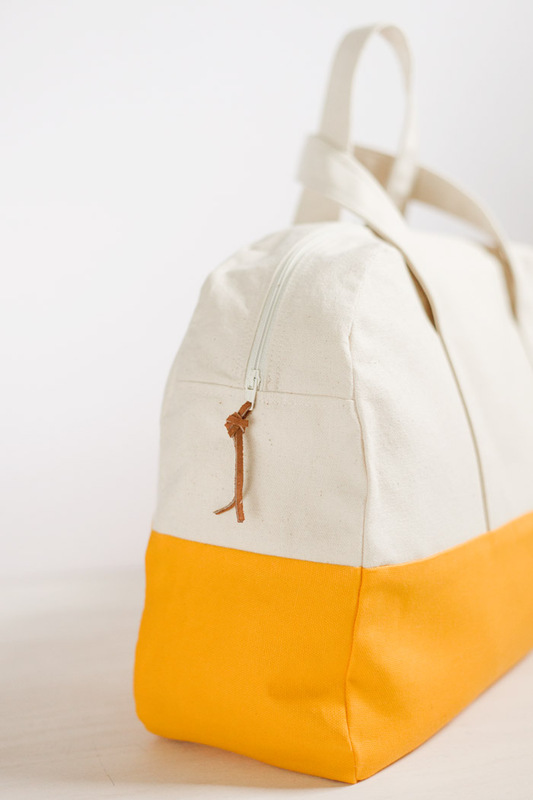 Up for grabs is this neutral + sunshine yellow color blocked canvas duffle bag. 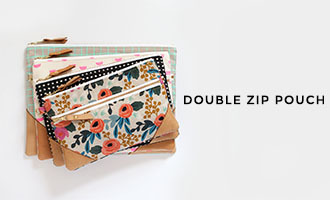 Use it as an overnight bag, to stash craft supplies, or whatever works for you! I have a pink one, which you can read more about here; and I use it to haul my photography gear. It's quite roomy, very sturdy, and fully lined. I used this pattern by Gingercake (which I altered) to make this bag. To visit my other giveaway (open to all readers), go here. I'd really like to visit NYC again. My boyfriend and I have both been, but separately. We'd like to go back together. However, I'm going to wait until it's warm again! This bag would be great for my upcoming trip to the Annual Sewing Expo in Puyallup, Washington. I hope to visit the Grand Canyon! 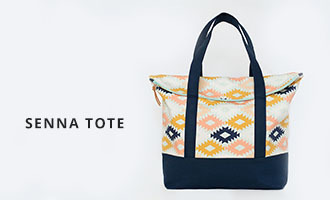 I would loooove to win this super cool bag! Great bag! Thank you for the chance to win. I could really use this when I travel to visit my granddaughter. I'd love to travel to Japan. So much great culture! I really would love to visit the south of France to see a good friend of mine. I would like to go to the Virgin islands or Cancun. I've never been anywhere even close to "tropical" so I would like to do that! would you believe I've never been to the ocean? I'd like to go there, I suppose! I would like to go to Guam. I heard it's beautiful there. I'm writing my thesis right now, so I've been dreaming about any place but here. We're hoping to go to Europe when I finish, so that's what I dream of. This is gorgeous! My new place I want to visit is Switzerland, which is what happens when you get hooked on a PBS special :P.
Woah, Love this bag so much! I love San Francisco. We would move there if we could! I love Montana! It's gorgeous there! I would love to visit the Caribbean someday! I would love to Paris again and see other parts of Europe. I would LOVE to visit the California coast! Great bag. Would love to win your wonderful giveaway! I'd love to visit England and Wales with my husband. We're huge Doctor Who fans, and we'd love to explore London and Cardiff! You are liked on FB. I'd like to visit the Grand Canyon. Just once. I would love to visit Australia! I have family there that I would love to meet in person! I would love to visit some of my relatives in Finland! thank you! Great duffle and blog! Mt kilamanjaro. And this is awesome! Beautiful bag! I'd love to go to New Zealand to visit the penpal I've had since I was 14! I would LOVE to give this to my SIL for Christmas - it's perfect! Thanks V! Didn't realize you had a FB page, duh! Of course I like you on there! My mom and I always planned to go to Egypt to see the pyramids. Maybe one day I can make that trip in her honor. Of course I like you on FB! I would like to visit Alaska! I also just liked you on Facebook! Gorgeous Bag! Thank you for the opportunity. My husband and I have always wanted to visit Venice. It's still a dream of ours even after being married 20 years. I'd love to take a trip to visit my sister's family in their new home. :) They're about a day's drive away, so I haven't had the chance to visit yet, but hopefully soon. Thanks for the chance to win such a fun bag! I'd love to visit Hawaii! I've always wanted to visit the Ice Hotel in Sweden. Thanks for the chance! How about somewhere warm, like Miami or Mexico (the tropical parts) or Africa? Because it's really cold here! I want to go to the Redwood forest in the western US! Thanks for the chance to win this beautiful bag! I'd like to visit New York City with my family. We haven't traveled there together as a family. The first thing that I'd do is go attend a Broadway show (or two). I want to visit the grand canyon. My husband reminisces all the time about visiting there when he was young, it would be so fun to bring the kiddos! i miss chicago & i would go back there for a visit in a heartbeat. i'd like to travel globally though, too... i'd like to visit just about everywhere. this bag is AWESOME and i would love it for MY photography gear. thank you so much for the chance to win. my email address is in my google profile. just became a facebook fan. thank you! One place? I'd love to visit? Oh, there are so many places... let me pick one... Hawaii. Never been. I have a friend from there, so I feel if I were to visit, I might just be able to see what the place is like as a non-tourist! Australia - seems very different from here! I've had Vancouver on my wish list for a while. I'd love to visit Italy! Love the bag! I've always wanted to visit Big Sur. I'm a born and bred Californian who loves mountains and yet I've never been to Big Sur! Italy is next on my list. This bag is stunning. Thank you for the chance! i'd love to go to aruba. I'd love to go to Ireland to visit some castles! Because it is cold here I would chose somewhere tropical or at least warmer than here. how about Cancun. I will love to visit Europe. This is seriously amazing ~ thanks for the awesome giveaway! I would love to visit paris! Awesome bag! I do alot of traveling to visit my son and grandson and I'd be traveling in style, hehe. I'd go back and visit different places in Alaska. I grew up there but never traveled down the chain or the inside passage. I'd love to visit Florida sometime soon with my kids. So many fun amusement parks there, plus the beach!! I'd love to go to Japan....especially during a quilt festival! my husband's family in honduras! I would love to go to the Amalfi Coast. Thanks for the adorable giveaway! I love to visit Australia! Melbourne in particular. Thanks for the chance to win... great bag! And I liked your page on FB. Thanks again! Lovely bag! I would love to visit Israel again! Where wouldn't I like to go is more the question! I'm hankering to go to Mexico or Hawaii again lately. I want to go somewhere warm. I'd love to go to the Virgin Islands, particularly St. John. I would really like to visit Sweeden, Norway, and Denmark. As well as South America and Australia. I really want to visit New Zealand and Norway. I'd love to visit Australia and London. I Like LBG on Facebook! I'd love to visit Hawaii. I love the bag! Croatia. I visited once and it still holds my heart. Dream locations -- New Zealand and France. More realistically, I really want to go back to my favorite place -- the Oregon coast! Thanks for the chance to win. I love the bag! I'd love to visit Mt. Rushmore! It's on my bucket list! I would love to visit Japan!! this bag is so awesome. I am hoping to visit Iceland next year with my partner. He lived there for a short time and says that it is amazing! For a far off dream, I'd love to visit Greece some day. For something more realistic, I'm looking forward to taking my kids to Disneyland for the first time next fall. That is a fabulous bag. Thank you for the giveaway! England! I'd love to visit! Thanks for the giveaway. Love the bag! My dream destination is Manarola, Italy. I've had pictures of that place ever since I was little. I'd like to have a nice long stay in Key West. I'd love to see more of the US. I have lived here for 12 years and have yet to make it to the East coast or California. We have explored the Pacific Northwest and Midwest pretty extensively. And actually I get to go to California for spring break (well, my daughter's spring break). There are also a few places in Europe that I have yet to see. And I would always love to go back to Spain. I liked you on Facebook (under Melody Camp)! I love yellow, such a beautiful bag. I really want to visit Australia and New Zealand. 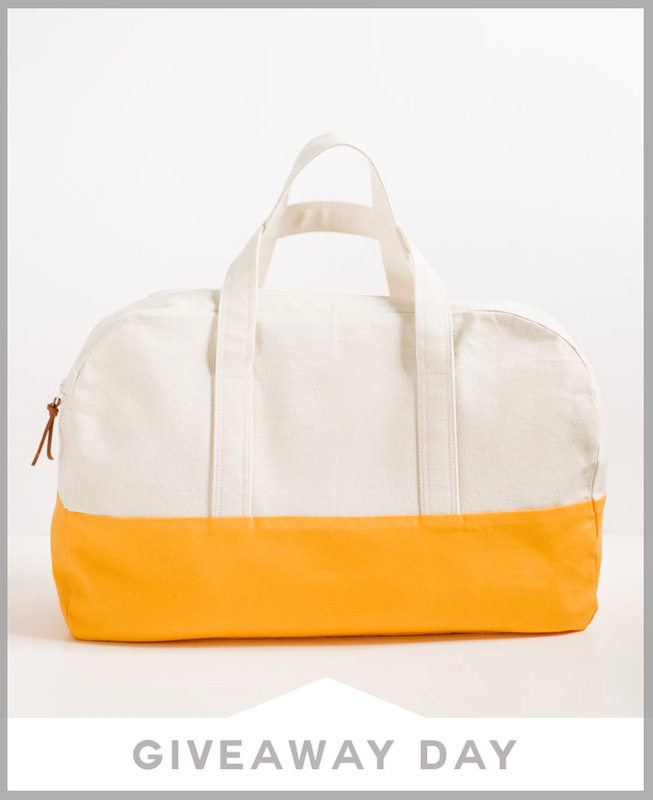 But this would make a great bag for any trip. Thank you! Mu husband and I really want to go to Ireland. One of these days! There are two places that I'm dying to visit. It varies at any given time but Greece and Alaska. Especially to see snow and ice in Alaska and the towns/buildings near the beach in Greece. Someday I'd like to visit Australia and New Zealand. I'm looking forward to seeing Hawaii one day but I'm also looking forward to the trips back to Vietnam and China to show our children their birth countries. Thanks for the chance to win. Just looking at that bag makes me smile. If I had to pick my top place to visit I'd go with New Zealand. I would love to have this beautiful bag to travel to Australia! I have an internet friend who lives in Perth and I'd love to meet her in person. I am a follower of yours on facebook! I have always wanted to experience India! So beautifully and culturally rich! Adorable bag. Yellow is my favorite. As it is snowing here, I'd love to go somewhere warm and tropical. I would love to visit London some day! I've always wanted to go to Scotland. Great bag! This would be great to take to the gym or on a weekend trip! There are so many places that I have a hard time picking just one! But sometime I'd love to be able to go visit my husband's family in Japan and Taiwan. I want to go to Warsaw! I would love to visit Canada. I want to see he northern lights, so anywhere that I could see them. This bag is really lovely btw. I'd love to visit San Francisco! Thanks for the wonderful giveaway. Vanessa! How are you possibly giving this away?! You're crazy but I want it so thanks ;-) Oh and place to visit? Anywhere, everywhere. London, Bruges, Sweden and Denmark! I love to visit anywhere warm right now. Darn below zero wind chillls!! ;) Thanks for the chance to win! I would love to visit anywhere where the sun is shining and it is warm! Wailea on Maui, in Hawaii. Thanks! Wow, that's an awesome bag. The pop of bright yellow is fabulous. I could use that for when I take my sewing things out. Thanks for the chance! I'd like to visit Australia (the whole darn place), and I'm not just saying that because JoyceLM said it. That's always my answer (and perhaps it always will be ... sigh). Your bag is stunning! I'd love to go to Yosmite and see the snow in winter. That is my wish this year. Thank you so much for the giveaway! I've liked you on Facebook under Angie Hofmann. I'm cold, so I'd like to visit Hawaii. I follow your blog but didn't realize you're on FB! So NOW I'm a FB follower! I'd love to visit Paris, France :) Great looking bag! I am actually pining to go to the beaches of the north east US. Thanks for the giveaway!